It has been a crazy few weeks. Work is super busy, lot’s of events on the calendar, trying to keep up with my three year old and then trying to keep up with the bounty from our garden. That alone could be a full time job! Since I didn’t want any of those beautiful tomatoes to go to waste, I decided it was time to claim my birthright and learn to can. My grammy, aunts and cousins are all amazing cooks, bakers, canners, etc. so I knew it was in me. But having never done it before and I was very lucky that my sister offered to walk me through my first time. I arrived at her place Wednesday night after work, and she had already peeled the tomatoes so we were ready to go. Since I wanted to be productive, I did not buy a bottle of wine when I stopped at Bristol Farms to pick up lemons. The second I looked at the pile of tomatoes, the enormous canning pot and all the jars I immediately wished I had a glass. Tammy to the rescue! My sister texted her neighbor and asked if she had two spare glasses of wine. 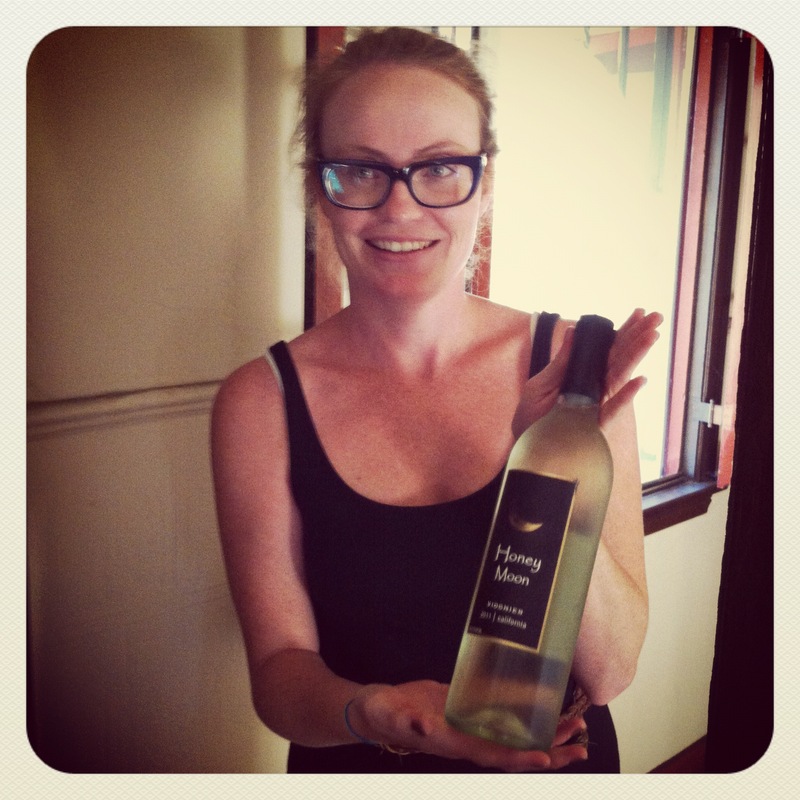 Tammy came over with a chilled bottle of white and donated it to our endeavor. With a Crushed Tomato recipe from Every Day with Rachael Ray I set to work. 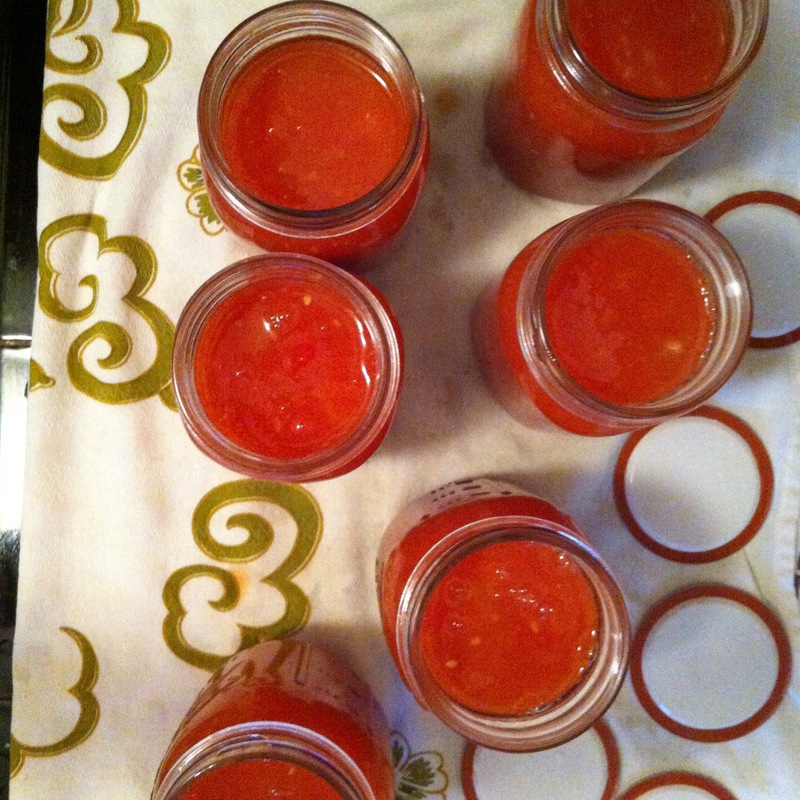 It was so satisfying mashing and boiling the tomatoes and filling the jars. Then watching them boil in the pot. Of course, the best part was pulling them from the boiling water, setting them on the counter and waiting for the “pop” so we knew the jars were sealed. I am hooked! 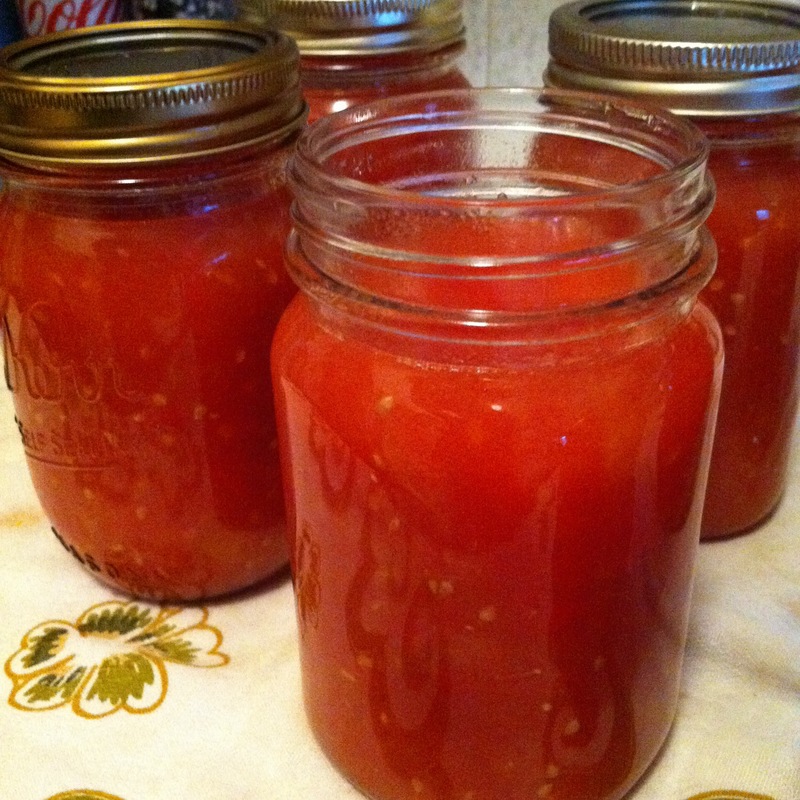 I took Kim’s canning equipment home and made a tomato jam recipe from the same magazine. 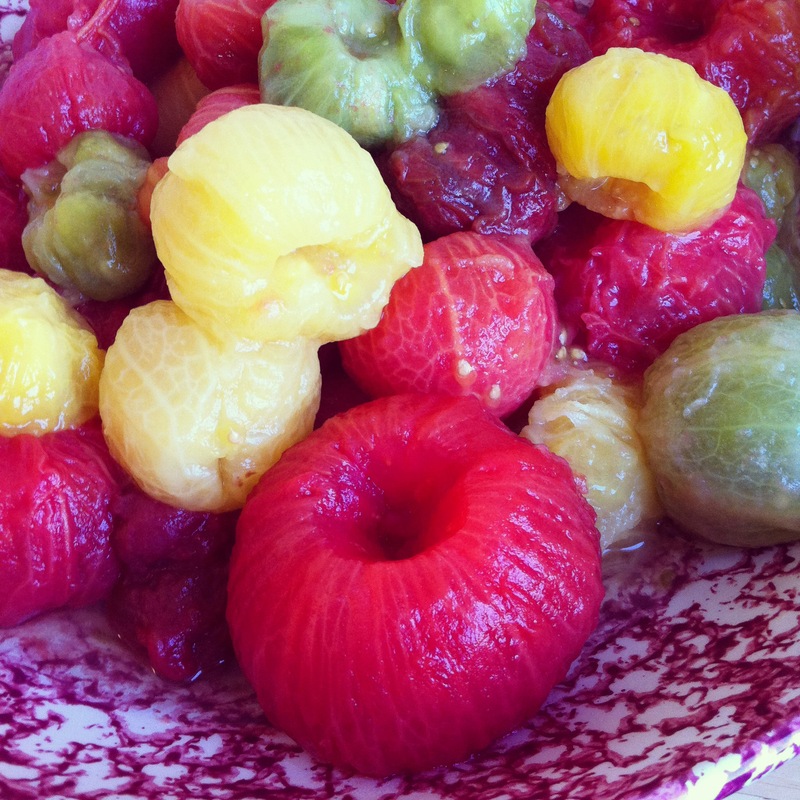 It is delicious – however, since it wasn’t a canning recipe, it didn’t seem to thicken enough. I did make sure to add lemon juice to the recipe to ensure the tomatoes reach the proper acid level. 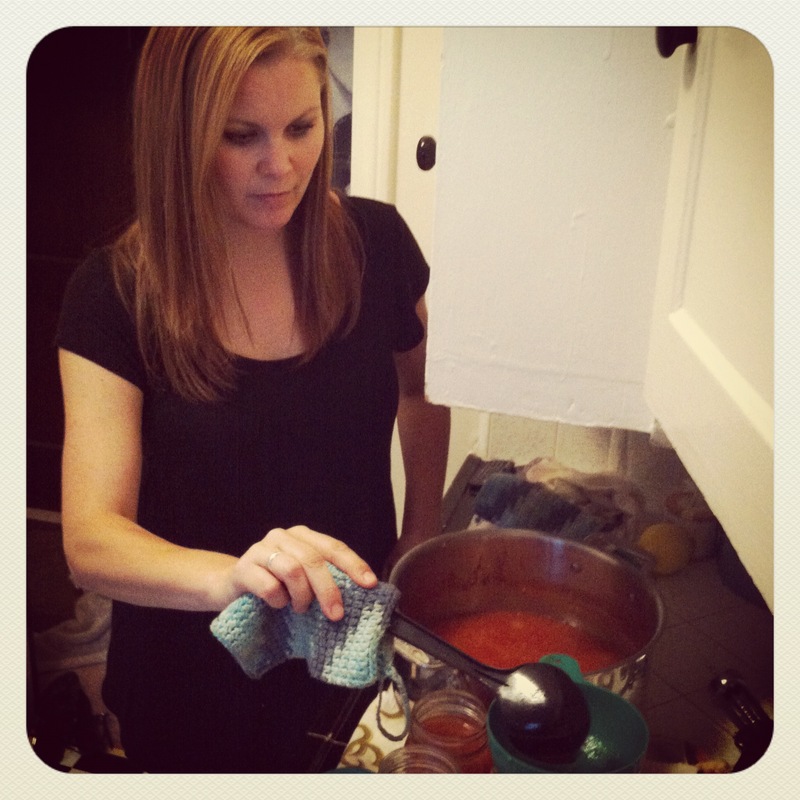 Kim is going to experiment with the recipe to get it to thicken – so stay tuned! Using paring knife, core stem ends of tomatoes. Cut and “X” across non-stem ends. In large pot of boiling water, cook until skins begin to pull away from flesh, about 30 seconds; transfer to ice water bath. Discard skins, then quarter tomatoes. In fine-mesh strainer set over a bowl, press on flesh to extract seeds. In large nonreactive pot, bring tomatoes, lemon juice and salt to boil over high heat. Ladle hot mixture into 5 hot, sterilized 1-pint jars, leaving 1/2 inch headspace. Seal the jars. In water-bath canner, process jars for 35 minutes.